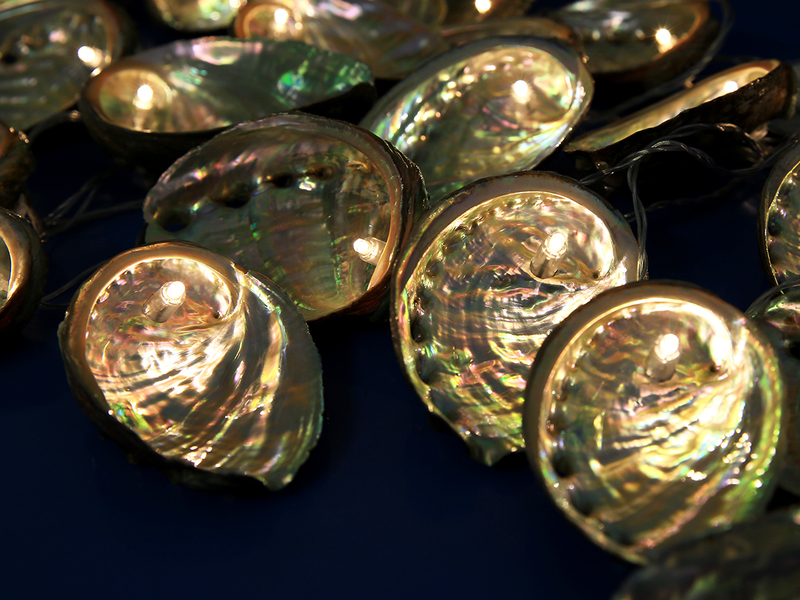 I knew I wanted some sort of an abalone Christmas tree this year for the office- maybe those simple ones in which i'll glue them all up to form a tree... but John took it to the next level and made them into hologram worthy fairy lights! 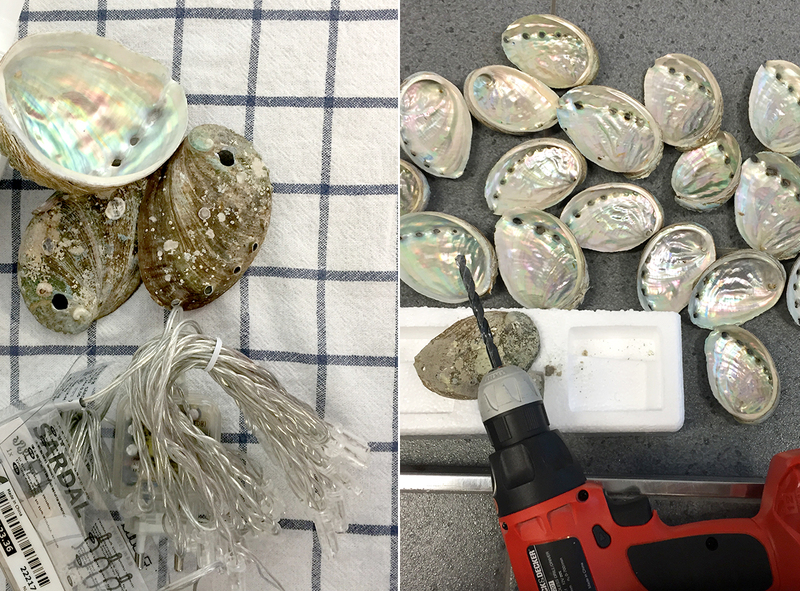 Simple steps but drying time is needed. Patience is a must! 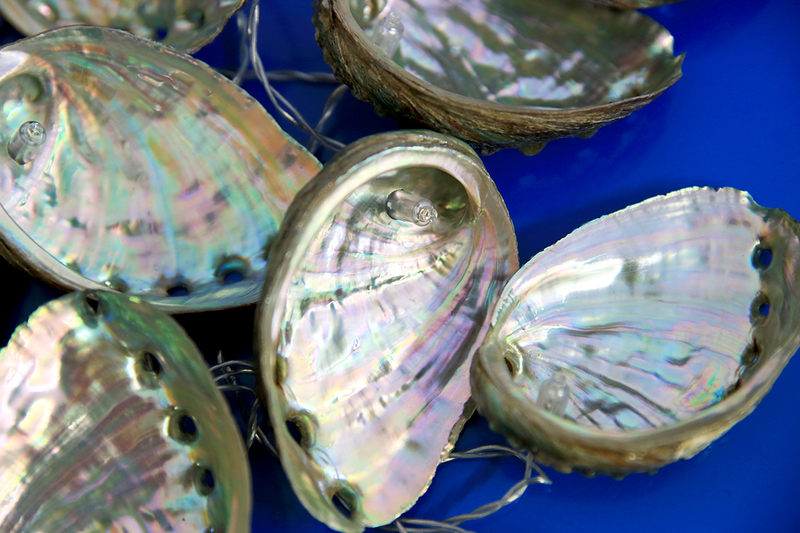 Clean the shells (boil it or wash with running water). Drill holes, not to big but just enough to squeeze in the fairy lights. To have a more polished finish- gloss it up like so (click on the link): cover every corner inside and out- with drying time in between. 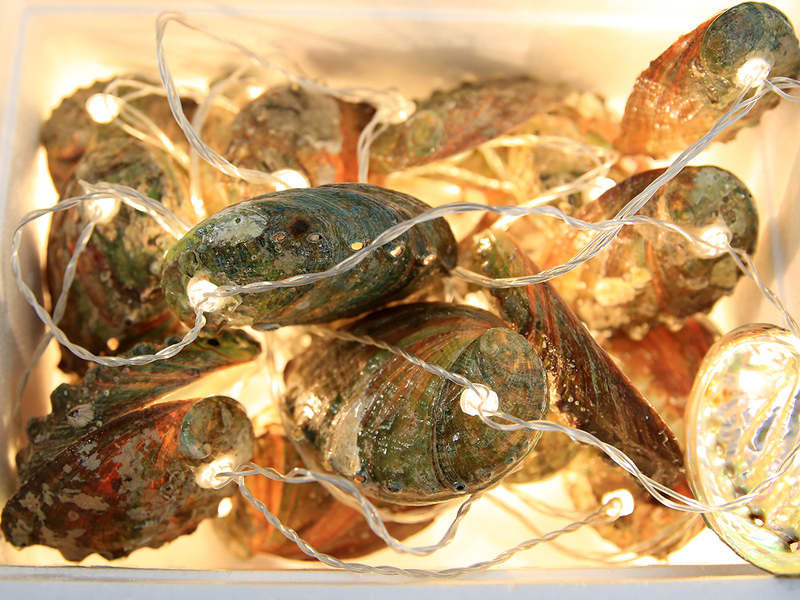 Using a glue gun, glue the fairy lights to the shells, let it sit awhile before you light it up! 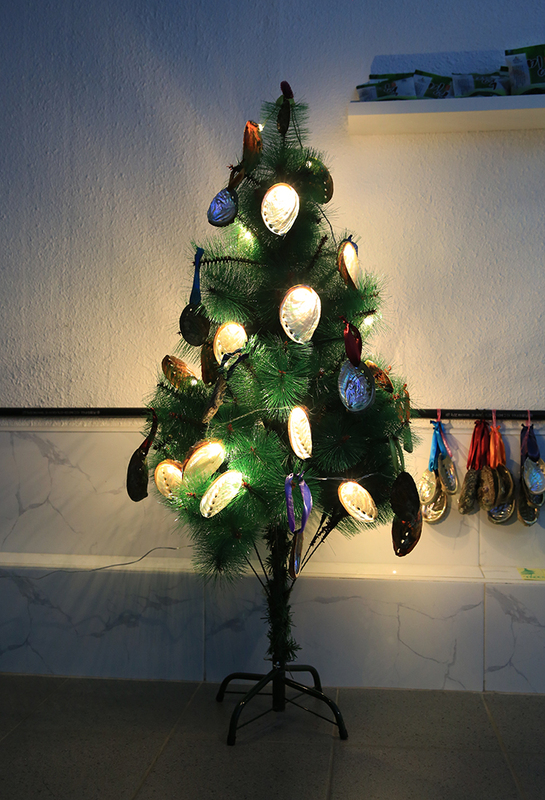 If handling a drill is too much of a hassle, here's an ultra easy ornament DIY! 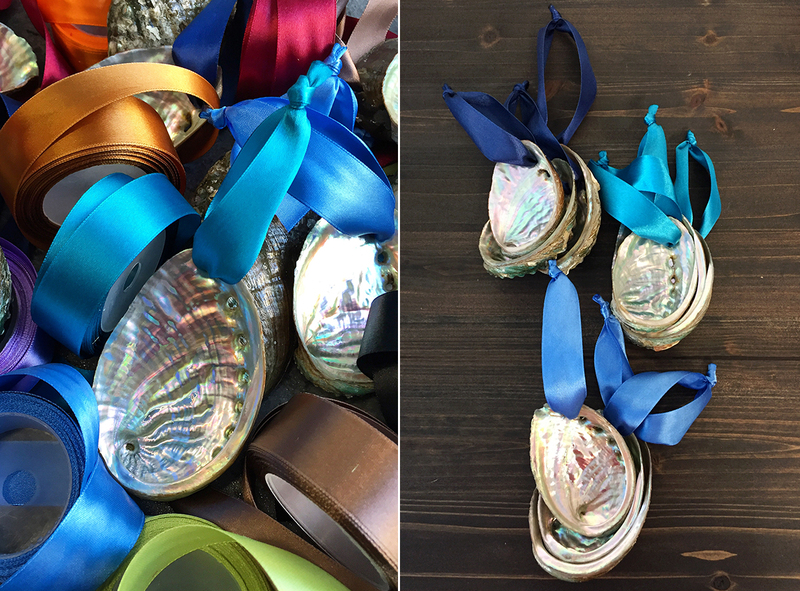 You'll just need Ribbons + Scissors because the abalone shell already has holes in them!